A classic post-apocalyptic dystopia..... and the title definitely does not relate to art & craft at all. Presenting Wool Omnibus #1-5 by Hugh Howey. An epic story of survival at all odds and one of the most anticipated books of the year. 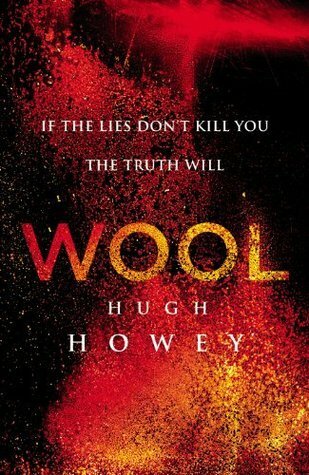 Released as ebooks first, WOOL Omnibus is the collection of first 5 books of Hugh Howey's WOOL series. Within it contain the 5 books - WOOL, Proper Gauge, Casting Off, The Stranded & The Unraveling, a short introduction to the next book in the series, Shift and an interactive interview with the author. As far as Dystopias and Post-Apocalyptic genres go, this is a pretty straightforward story and very less sci-fi element focusing more on the Dystopia which I very much appreciated. Choosing to focus more on the people living in the stifling spaces and closed areas and how they deal with things. Choosing to let go of certain ideas giving rise to optimism, of hope of a better future outside and instead have such notion be tabooed least they give rise to discord and unrest among the people. The proverbial wool hiding the truth in plain sight because if found out, the punishment is to be sent outside. While I love dystopia and this is very much basic, I would liked it more if the author didn't dwell so much on the character point of views, going deep in thoughts all the time. I liked Jules and Lukas though. Jules is resourceful, brilliant, knows to say piece and the quality to lead. I liked her defiant attitude to not follow the rules..... blazing her own path. Going onto discover that there is more to live than inside the Silo. Lukas being the love interest to Jules was likeable enough. He had a rather sweet and eccentric disposition. He tries to help her with as much as he can within the constrains of his limits and I just check out the next volume, Shift.